A spiraling controversy over anti-Semitic comments and conspiracy theories has roiled the Washington city government, seemingly getting worse with every public attempt to ease the tensions. Farrakhan and the Nation of Islam have a decades-old history of overtly anti-Semitic rhetoric. The Nation of Islam also does significant social and charitable work in black communities and retains some respect among those who don’t share their views. City officials hope the immediate controversy will die down with time, and White doesn’t face re-election for another two years. The councilman may still face some sort of public censure if his contribution to Farrakhan is judged as a minor campaign finance violation. But the public and personal scars from the past few weeks could linger. It should be obvious to everyone: Democrat Party is becoming more and more like National Socialist Party. Had it been the other way around there would be riots. If our own brothers and sisters can donate to and support the Niturey Karta who support iran and muslims who have killed 100’s of thousands of yidden ,then whats wrong with supporting farakahn & company? At this point, donating or meeting the man must be the gateway to being elected. Are any Dems not linked somehow? 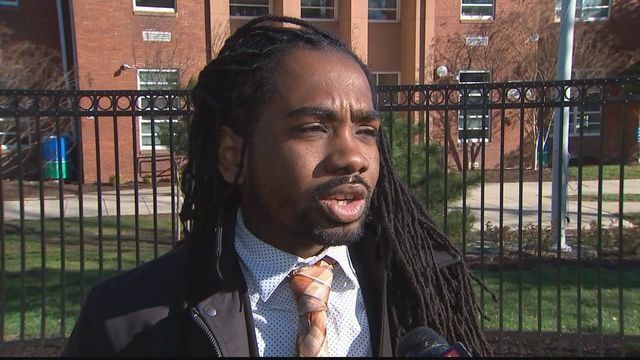 Where in this article does it say that Trayon White is a Democrat? (I’m guessing he is, because the DC City Council is predominantly Democratic, but the article does not identify him as a Democrat.) And how do some of the commenters jump to the conclusion that the anti-Semitic stupidity of Crayon White means that all Democrats are stupid and anti-Semitic? The Republican candidate for Congress in Staten Island – a guy named Grimes – is an ex-con, but that does not mean all Republicans are criminals. And the Republican president is a pathological liar, but that does not mean …. Takes 2: Very few Jews support or donate to the Niturei Karta, a tiny extremist group on the outer fringes of Ultra-Orthodox society. It’s a group that mostly inspires disgust and revulsion among much of the Ultra Frum people that they resemble only in mode of dress. The Nation of Islam, on the other hand, is not held in such contempt by the mainstream Black community.